Long Live the Breakfast Queen! Home » Breakfast » Long Live the Breakfast Queen! I’m one of those people who believes that breakfast any time of the day or night is a good thing. For over 33 years, Ina Pinkney (aka The Breakfast Queen) reigned as one of Chicago’s iconic breakfast aficionados. Since Ina’s Restaurant closed on December 31, she’s kept quite busy. 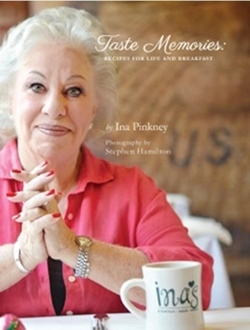 Ina published her first book, Taste Memories: Recipes for Life and Breakfast, which is part memoir, part cookbook. And for those of us in Chicago who love her food, she’s been doing a limited number of public appearances in conjunction with her many, many chef friends. 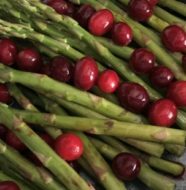 On Sunday, March 30, Prairie Grass Cafe, Northbrook, is hosting a special brunch honoring Ina from 10 a.m. to 2 p.m. 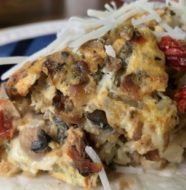 Chef Sarah Stegner will be making some of her favorite Ina recipes, including Ina’s Heavenly Hots pancakes (recipe below), along with Prairie Grass Cafe’s regular brunch menu. Reservations are recommended. If you haven’t gotten your copy of Ina’s book yet, a limited number will be available for purchase and signing by Ina herself. Beat the eggs in a bowl, blender or food processor; beat in the sour cream. Mix together the dry ingredients in another bowl; add to egg mixture. Mix until smooth. Heat a lightly greased griddle or non-stick skillet over medium high heat. Pour 1/4 cup of batter into the skillet in batches to make 3″ circles. Cook until a few bubbles appear on the top, about 2 minutes. Turn carefully with a thin, flexible spatula; cook until lightly browned on bottom, about 2 minutes. 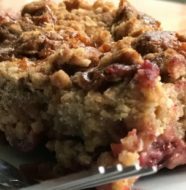 Ina recommends serving with peach, raspberry or blueberry compote.